Dog-lover? Us too. There’s nothing quite like heading out on an adventure with man’s best friend in tow, and let’s be honest – those puppy dog eyes are just too heartbreaking to leave them at home. 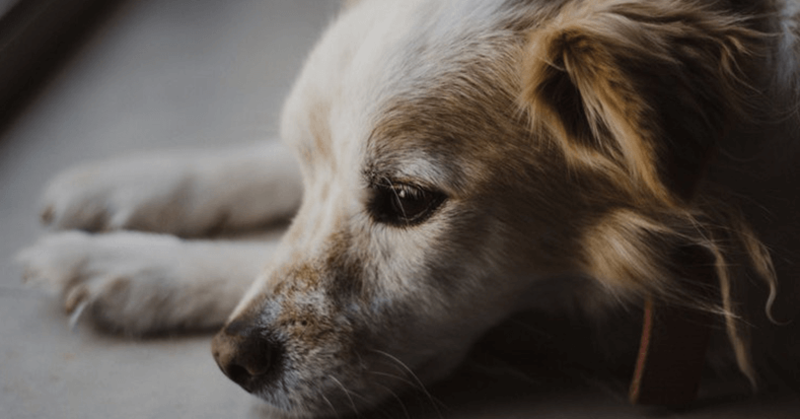 There are approximately 27 million pets in the UK and unsurprisingly, dogs are the pet-of-choice for many of us – with over 7.3 million in homes all over the country. (1) It’s official; we are an undisputed nation of dog-lovers. But with great canine companionship comes great responsibility. 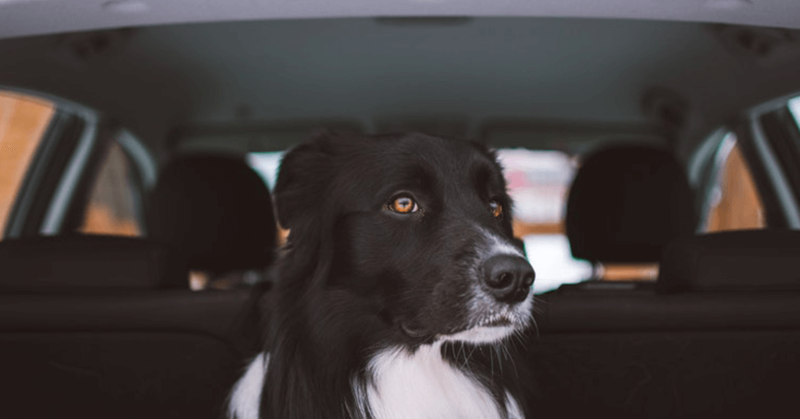 In the same way that there are laws regarding dogs on leads and fines for dog mess offenders, there’s a few rules to driving with your dog in the car too. But how many of us actually know the laws on driving with dogs? Here, we run through the important parts of the law that concern driving with your dogs, giving you the ultimate insight into The ‘Houndway’ Code (2); so that you don’t get left in the dog-house. How many people drive with their dogs in the car? If you drive with your canine companion, you’re definitely not alone. 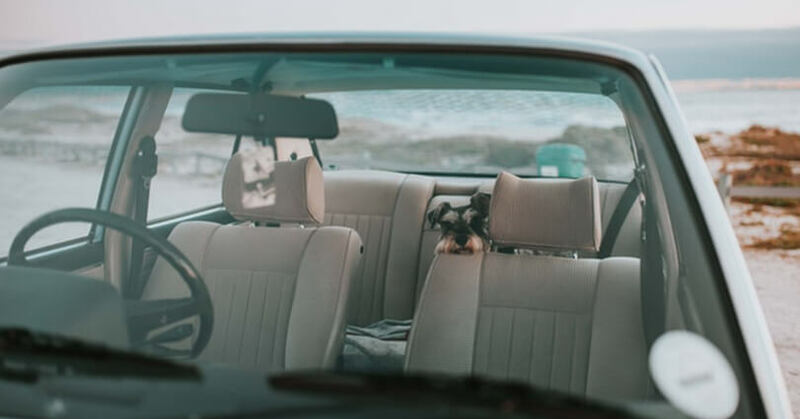 According to Dogs Trust, it’s estimated that 44% of dog owners in the UK regularly travel with their pooches in the car with them, and one in five of those dog owners travel with their dog unrestrained in the car. What is the law on dogs in the car while you’re driving? So for you to drive in the car with your dog, they must be restrained – that means they should not be able to travel around the car in order to distract anyone driving. But you’re not just breaking the law if you fail to do this either – Gocompare.com also warns that you could be invalidating your car insurance too. (4) If you have an accident whilst your dog was in the car and it is deemed that they were not suitably restrained and this contributed to the accident, then your insurance company are well within their right not to pay out on any claim. 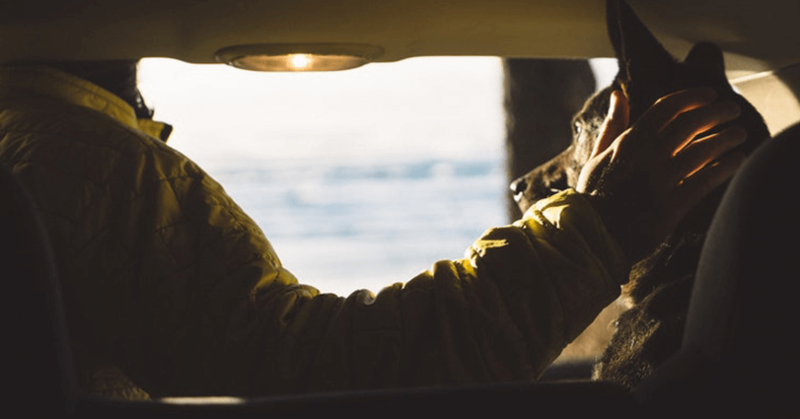 What could happen if I’m caught driving with my dogs unrestrained? Although it does not explicitly mention how you could be prosecuted if your dogs are not properly restrained, the mistake falls within rule 144 of The Highway Code; ‘driving without due care and attention’. What can I do to make the ride go smoothly for both me and my dog? Secure them within the boot with a guard that blocks access to the interior or within a crate/cage securely positioned within the boot. You can also use a harness to secure them safely, but ensure that it’s appropriately sized and correctly fitted. Your dog should travel on the back seat and the harness should be secured to the seat belt attachment there. Make sure they have plenty to drink and keep the car as cool as possible for them. Place something that smells of you or your home with them to help them feel reassured throughout the journey. Take them for a walk before the journey – that way, they’ll have used up some energy and be less likely to feel as agitated. Have them ride in the front of the car. It’s more likely that they’ll cause an accident to happen. Leave them alone in the car – they’ll panic and could become dehydrated over time and in especially hot weather. Bring too many toys with them. If you have to do an emergency stop, they’re at risk of hurtling through the car. If you do bring toys, make sure they’re also secure enough to stay in the back with your dog. Make the experience a negative one. In the same way you train them with positive reinforcements, keep the prospect of going in the car a positive one with lots of ‘good boys’ and ‘good girls’ and give them their favourite treat at the end of the ride. 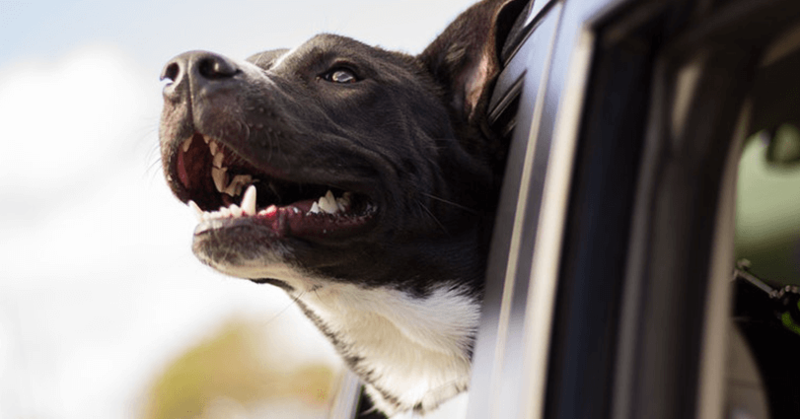 You know that familiar sight – dogs with their heads out of car windows, taking in the breeze? Well, what’s the law on that? 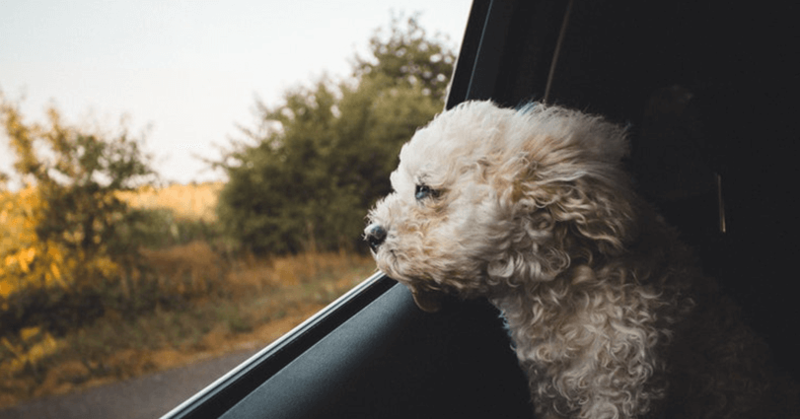 Although there is no law that states that this is illegal, if a pooch has its head out of the car window it would be assumed that it is not securely restrained – and if that is the case, it’s then illegal. Yes, this is probably the best part of the ride in your pups opinion, but to the experts it’s also one of the most dangerous. Aside from the law, rides with the windows down can mean your dog can be exposed to dirt, rocks, dust and other debris which can puncture and scratch their eyes, not to mention damage to their ears and even the awful possibility of them getting stuck or falling out of the car altogether. Our advice? Keep the breeze for the walk, with their feet firmly on the ground.